Audi says it will be available to the public within three years. Audi is bringing virtual reality gaming to the car with its new Holoride technology. Unveiled at the Consumer Electronics Show in Las Vegas, Nevada, Holoride relies on VR goggles that backseat passengers wear. Users then view a virtual world that syncs up with the motions of the vehicle. “If the car turns a tight corner, the player curves around an opposing spaceship in virtual reality. 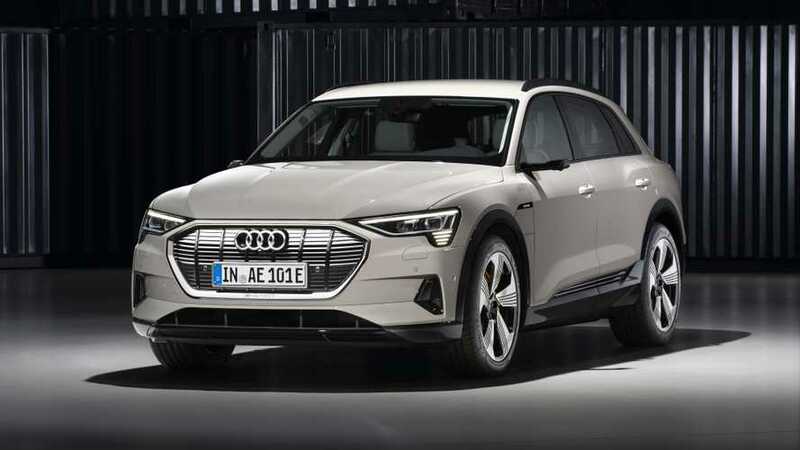 If the Audi E-Tron accelerates, the ship in the experience does the same,” Audi wrote in a press release. While Audi noted that Holoride uses an open-platform that other automakers and developers can use and add to in the future, the brand only used the technology to showcase “Marvel’s Avengers: Rocket’s Rescue Run,” a VR game that sees the user sitting in the space ship from the film Guardians of the Galaxy. Of course, this isn’t Audi’s first rodeo in the Marvel universe, as the automaker famously gave Tony Stark the keys to an Audi R8 in Iron Man (Stark more recently piloted a new A8 in Spider-Man: Homecoming). Nor do we expect this to be the last venture between Marvel and Audi, and we can envision a future Holoride game based upon Marvel characters such as Ant-Man or Ghost Rider. Although the feather in Holoride’s cap is currently its ability sync virtual worlds with the movements of a passenger vehicle, future iterations of the technology will possibly use vehicle-to-infrastructure communication to implement traffic events into the user experience. Regardless, the German brand believes Holoride will be available to vehicle owners within the next three years. While the technology certainly looks cool, we can’t help but feel it may also be a wee bit nauseating. Hopefully, we’ll have the opportunity to test Holoride for ourselves to find out just how well the VR system works in the real world. 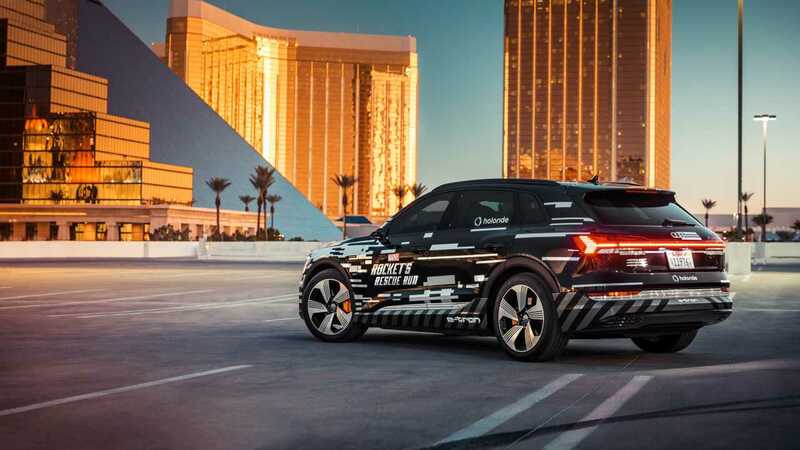 LAS VEGAS/INGOLSTADT, January 7, 2019 – Audi is redefining in-car entertainment at the Consumer Electronics Show (CES) in Las Vegas. In the future, backseat passengers will be able to experience movies, video games, and interactive content even more realistically using virtual reality glasses. The premium brand is presenting a technology that adopts virtual content to the movements of a vehicle in real time: If the car drives through a right turn, the spaceship in the experience does the same, for example. Through a subsidiary, Audi Electronics Venture GmbH, Audi has co-founded a start-up company, holoride GmbH, which will commercialize this new form of entertainment via an open platform that will be made available to all carmakers and content developers in the future. Audi is demonstrating the immersive futuristic technology with “Marvel’s Avengers: Rocket’s Rescue Run,” an in-car VR experience for backseat passengers being brought to life by Disney Games and Interactive Experiences. Wearing VR glasses, the passenger in an Audi e-tron (combined electric power consumption in kWh/100 km (62.1 mi)*: 26.2 –22.5 (WLTP); 24.6 - 23.7 (NEFZ); combined CO2 emissions in g/km (g/mi): 0) is transported into a fantastical depiction of outer space: The Audi e-tron now functions as the ship manned by the Guardians of the Galaxy, as the passenger makes their way through an asteroid field together with Rocket, a character that will appear in Marvel Studios’ Avengers: Endgame in spring 2019. Every movement of the car is reflected in the experience in real time. If the car turns a tight corner, the player curves around an opposing spaceship in virtual reality. If the Audi e-tron accelerates, the ship in the experience does the same.